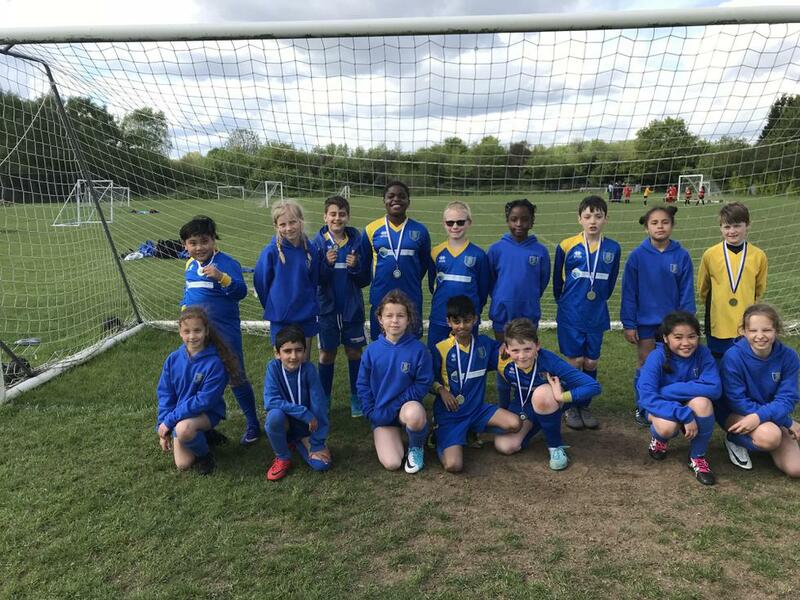 St Joseph's entered both a year 5 girls & boys team into the prestigious Kew Association football competition. The competition which involves 30 schools across both Richmond & Kingston takes place every year with St Joseph's winning the Chalice back in 2015 - 2016. The standard was very strong this year and both the girls and the boys teams done very well. The girls team reached the 1/4 finals of the plate competition only to be narrowly beaten 1-0 by Sheen Mount. The boys made it all the way to the Plate final having narrowly beaten East Sheen on penalties in the semi-finals. This set up an all Kingston final as St Joseph's and Grand Avenue battled it out for the plate shield. The game was very evenly matched and neither team could find a way through so the game went to penalties. Both teams scored some excellent goals from the penalty spot making the scoreline 3-3. Unfortunately St Joseph's missed in sudden death allowing Grand Avenue to score and become Plate winners. Despite their disappointment the St Joseph's year 5 boys team held their heads up high and where delighted by their achievement of being runners up in the plate competition. A great effort from them all.